Inside: A review of Little Trendsetter, a unique and affordable children’s clothes store. As a parent, it’s not always easy to find unique and affordable children’s clothes. 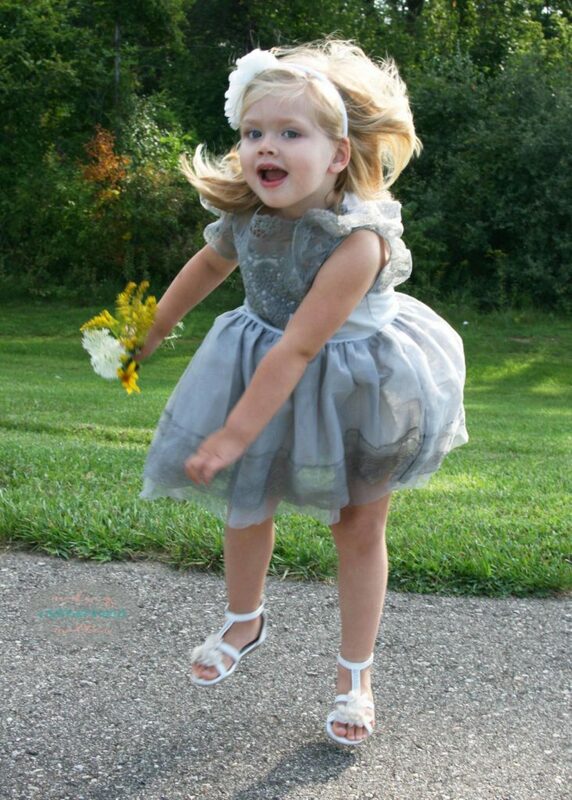 I enjoy dressing my kids in one-of-a-kind pieces that make them stand out and won’t break the bank. When I first found Little Trendsetter, an online boutique that specializes in trendy and unique clothing, I fell in love with their boutique style clothing. Take a peek at the unique and affordable children’s clothes I selected. I received free products from Little Trendsetter in exchange for an honest review. All of the thoughts and opinions expressed in this post are my own and not influenced by the developing company, and/or its affiliates. I selected a trendy outfit for each of my children from Little Trendsetter. 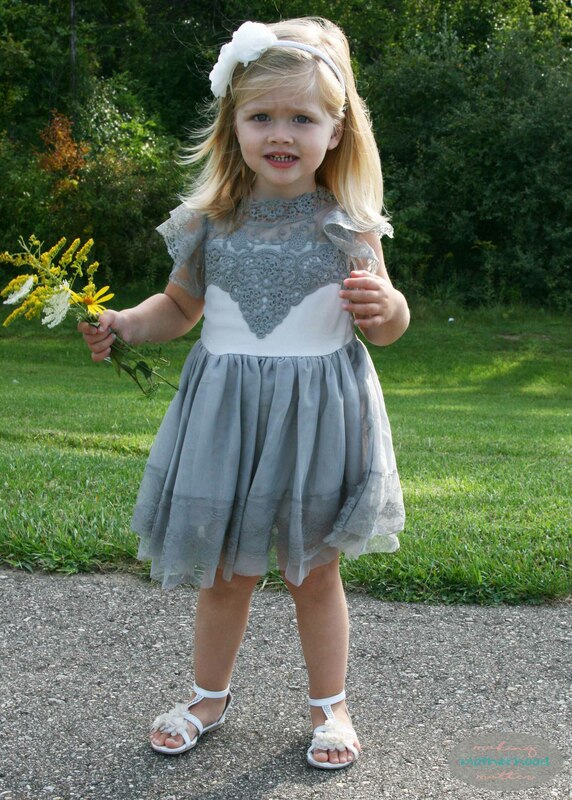 For my two-year-old daughter, I picked out the “vintage lace dress” in gray. 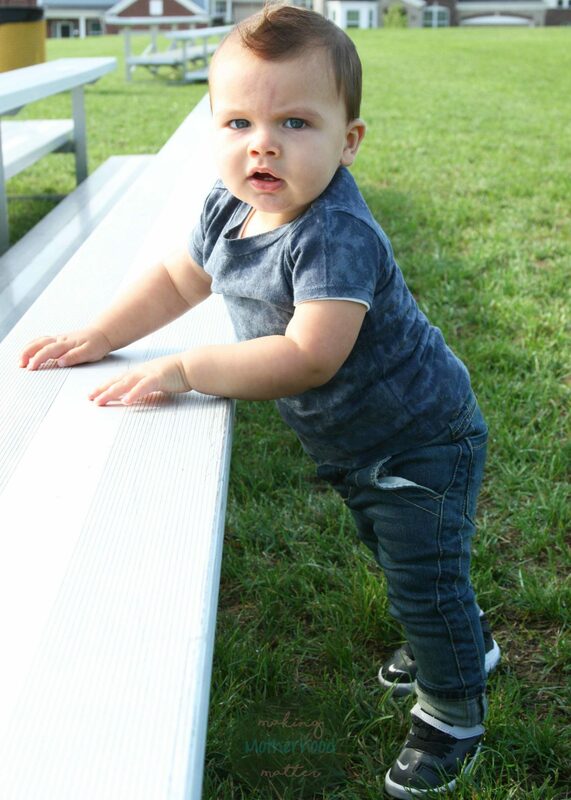 For my son who is nine-months-old, I selected a “vintage wash tee” in indigo and “the side line denim” jeans. 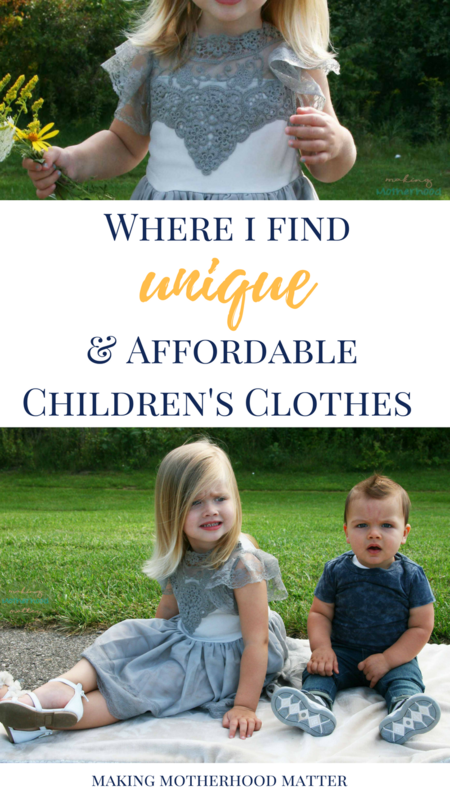 One of the most important factors, when I pick out unique and affordable children’s clothes is the quality. Little Trendsetter did not disappoint in this area. The vintage lace dress looked exactly like the picture online. The stitching, the fabric, the fit, everything about the dress was high quality and flattering. The vintage wash tee and jeans were no different. 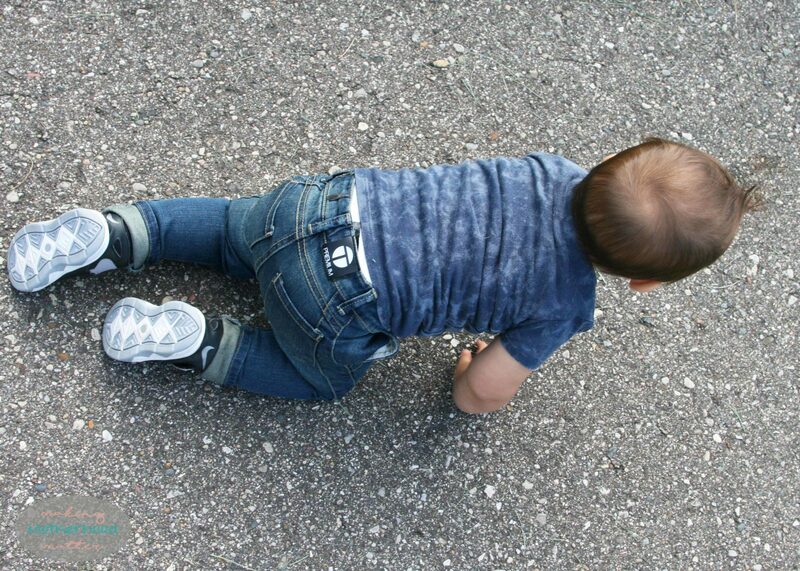 The jeans are thick material, yet provide a little stretch which is crucial for my crawler. My son put these to the test as he didn’t stop moving for a moment during our photo shoot. For both outfits, the clothes were true to size. 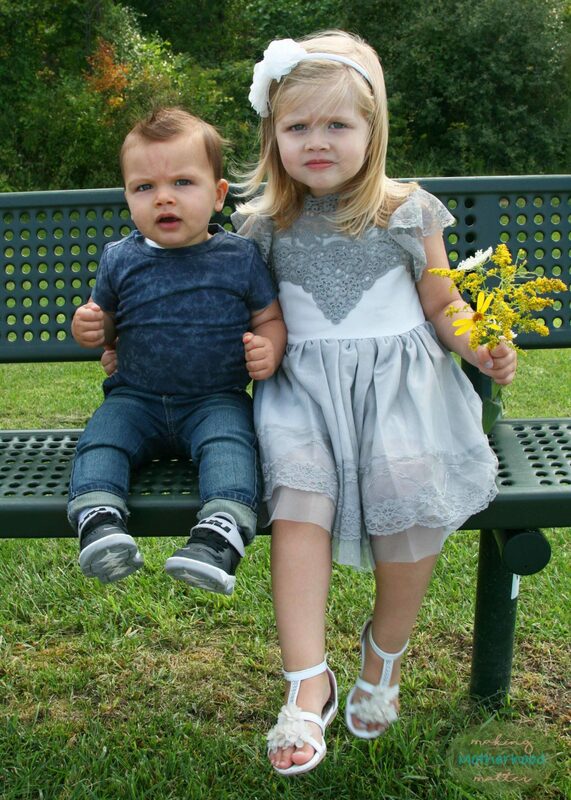 Both of my children are tall for their age. My daughter typically wears a 3T, so that is what I ordered for her and it fit perfectly. 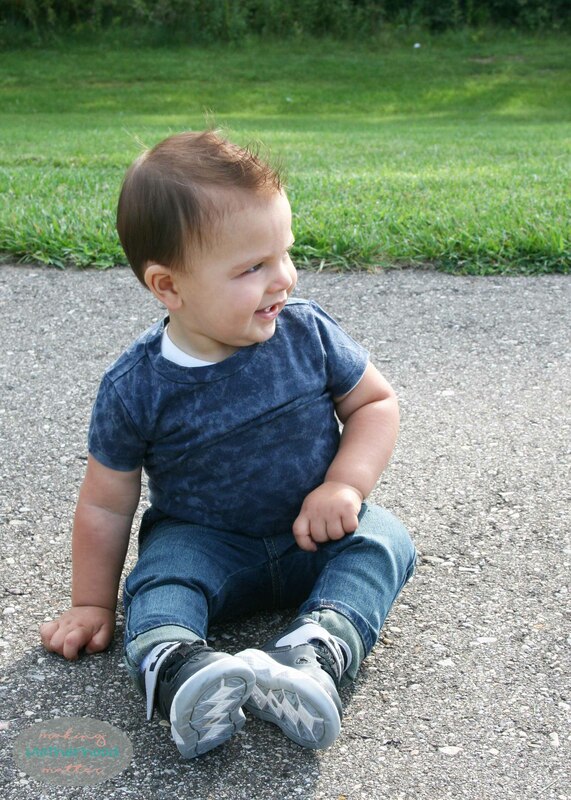 My son is wearing 12-month clothes, and I couldn’t have been happier with the fit of his clothes too. 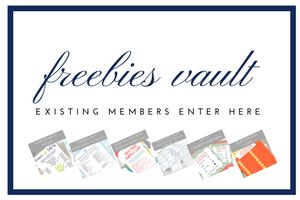 Psst… If you liked this post, you may also like How to Prepare Your Toddler for Preschool Survival Guide, including 12 free role play scenarios for toddlers emotional and social development. These outfits are so cute! 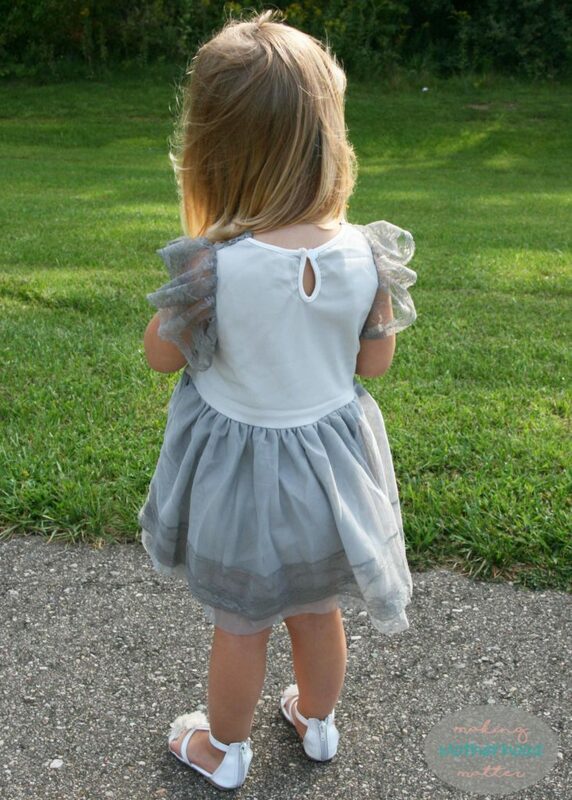 Especially the little dress!! So great to find new clothing brands that offer quality as well as look great! So good that the sizing was good too. This always something that annoys me! 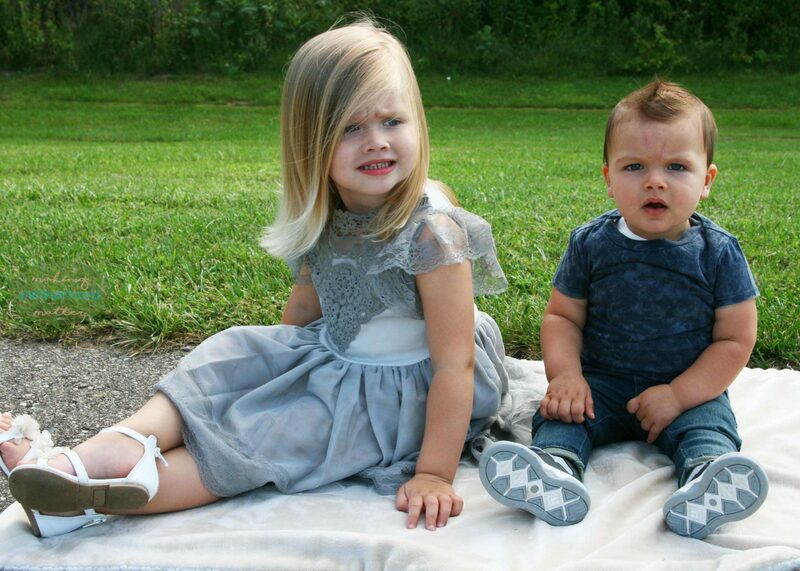 Both kids look just gorgeous! Yes, quality and sizing are super important to me too when I am picking out kids clothes. Super cute! Definitely checking them out! Thanks for sharing! I'm in love with that dress! Adorable. Oh my word that dress is super cute! 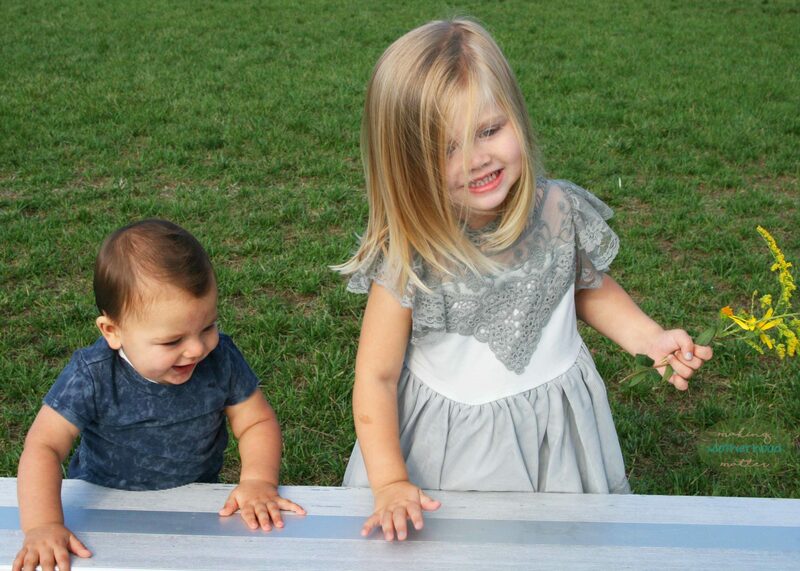 That grey dress is SO cute! Yes, I love Little Trendsetters. Thanks for stopping by! !